IMPORTANT: The Everyday Language Learner blog and guide are now defunct (no longer running). I highly recommend this site and these comprehensive courses as alternatives. 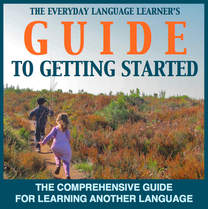 This is a brief review of the Everyday Language Learner’s Comprehensive Guide To Getting Started by Aaron Myers, owner of The Everyday Language Learner blog. Let me begin by highlighting the book’s mission according to its title and description. It sets out to deliver a comprehensive guide to getting started learning any language and empowering you to reach your goal. It’s important to note from the outset that this claim is not language-specific, nor does it promise anything beyond getting started. Before opening up the book it’s clear that this is not a Teach Yourself a Language in X days/weeks/months or How To Get Fluent Fast gimmick but rather it’s something which sets out to offer sensible, practical advice on how to get organized for foreign language learning. This attracts me as a mature language learner as it implicitly acknowledges that language learning is an arduous journey that needs preparation and not something that can be sped up with a secret formula. The Everyday Language Learner’s Comprehensive Guide To Getting Started attempts to assist people to equip themselves for a new language learning endeavour – first by assessing their own attitude and abilities, and then by taking active steps to implement its concepts and methods. The book reads like a motivational, self-help guide and although it says that it’s for all language learners, it appears to be aimed primarily at the inexperienced learner. Introduction to the author and his theory, including a short account of failure and success with German, Spanish and Turkish. How to do a self-assessment and plan. Resources (websites, books and other tools). His inclusion of an account of his experience with German, Spanish and Turkish is excellent and I particularly found myself wanting to know more about his time in Latin America and Turkey. The guide to self-assessment and planning is a very handy addition for those who aren’t very organized or who set out to learn a language without a solid purpose in mind. It’s all very commonsense but I’m sure a lot of people would find this section along with the accompanying video very useful. I’ve addressed the theory and methodology below. His resources section is again a useful addition, but I think that a lot of the people who end up buying The Everyday Language Learner’s Comprehensive Guide to Getting Started will already be familiar with them. The Learning Activity Ideas, which in my opinion is one of the most important parts of his guide, would have been excellent if it was expanded on and made into a chapter of its own. This is where the real, practical advice is located and it’s what people want to spend their money on. The author has some really good tips here based on his own experience that I found really insightful. I don’t want to give anything away but there are some unique activities here that I haven’t read elsewhere and would recommend to others. The author strongly favors Stephen Krashen’s Input Hypothesis on the necessity for comprehensible input (i+1) which he calls his secret ingredient. For those who aren’t familiar with this hypothesis, Krashen’s view is that the most important factor for learning another language is encountering input that is slightly above the learner’s current level of proficiency. In other words, hearing or reading language that you understand 90% of will lead to the acquisition of the other 10%. Firstly, Krashen’s Input Hypothesis is outdated (new theories have emerged since the 1970’s). The author of the Everyday Language Learner’s Comprehensive Guide to Getting Started could have made mention of some of the more recent developments in second language acquisition, e.g. Swain’s Output Hypothesis. While the guide is not written for an academic audience, it still helps to show the reader that the author is well-read on the subject. Secondly and following on from that, the guide seems to neglect output and interaction as vital parts of learning. The Three Principles that it outlines are primarily input-focused. Despite this, the author does a great job at explaining the different modes of input along with the importance of controlling the type and level of input encountered. He relates this well to personal, lesson and community settings and offers some helpful tips for each. In my opinion, the Everyday Language Learner’s Comprehensive Guide to Getting Started delivers well on its promise. The time it spends on helping the reader plan and self-assess is a huge part of this and the care taken to inform the learner about the importance of controlled comprehensible input helps them to ensure that time isn’t wasted in the process. The design and readability of the ebook is superbly done and of a professional standard, just like The Everyday Language Learner website. Join thousands of other language learners by joining the Guild. Enter your name and email in the box below for language-specific tips and resources. You call Benny a con artist, and now you’re suggesting that we use his book? Where did I call him that? I was about to say: https://www.mezzoguild.com/benny-lewis-mandarin-mission-and-steve-kaufmann/ <- over here, but sorry, I retract the above – technically, you didn't 😉 ('Paul' was the most combative commenter – he used the word 'scammer'). "I simply agreed with Steve that to achieve the very high level you're talking about in a language that you've never really encountered before isn't possible in 3 months, even for the most motivated learner." "This is exactly why I refuse to make these kinds of claims on this site. 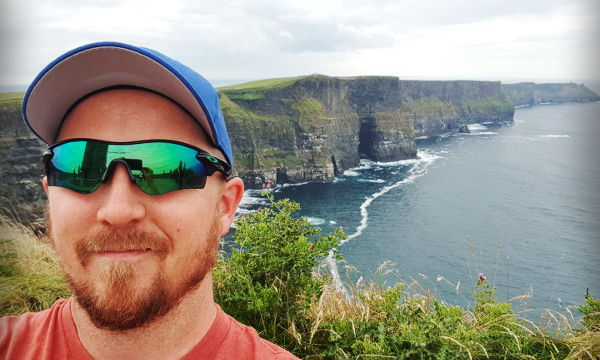 I've made an "Irish challenge" for myself (learn Irish before St Paddy's Day), but I won't make misleading claims about being able to pass exams or speak with C1 level fluency by that time." But, please insert a warning to potential buyers, that the while you find the contents good, the claim made in the title – fluency in 3 months – is NOT possible. I agree with you that fluency (by my own definition) is not possible in 3 months. But the product of his that I link to is not promising you’ll ‘get fluent in 3 months’ (despite the title of Benny’s blog). It’s more of a general language resource with his own advice and strategies to learn more effectively. We’ve had our differences in the past and still no doubt have small disagreements on various issues but I have nothing against him at all now. He’s a good guy.